It can be useful read actual fim or TV scripts to get ideas on how to format your own film script. There are many excellent online sources from where we can find film scripts. I sometimes bring up a split screen on my laptop to watch a movie alongside its script to see how it was transferred onto the screen. The latest film where I did this exercise was Man Up (2015). A hilarious movie with Lake Bell and Simon Pegg. Man Up (2014) written by Tess Morris can be found on LA Screenwriter. Or, you can start here with a list of 10 websites (some of the above included) as recommended by the New York Film Academy: “10 Great Websites To Download Movie Scripts” (Posted on January 12, 2015 by Jack Picone). Featured Image: A screenshot of Carless’ (2004, p. 2) screenplay format PDF on BBC.writers room. BOURASSA, A. (2015) Man Up Script. [Online] Available from: http://www.la-screenwriter.com/2015/12/03/man-up-script/ [Accessed Feb 2, 2017]. CARLESS, M. (2004). Screenplay Format. [PDF] Available at: http://downloads.bbc.co.uk/writersroom/scripts/screenplay.pdf [Accessed 15 Jul. 2017]. CARLESS, M. (2004). Screenplay Format. 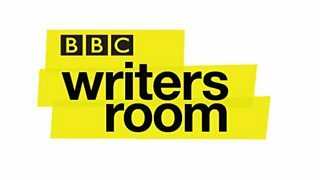 [IMAGE] Available at: http://downloads.bbc.co.uk/writersroom/scripts/screenplay.pdf [Accessed 15 Jul. 2017]. PICONE, J. (2015) 10 Great Websites To Download Movie Scripts. [Online] Available from: https://www.nyfa.edu/student-resources/10-great-websites-download-movie-scripts/ [Accessed Jul 15, 2017].